Missing your long-cherished target while hunting or long range shooting due to the lack of perfect riflescope, is quite frustrating, isn’t it? If this really happens, then what is the meaning of so many pricey riflescopes from famous brands out there? Don’t worry, we are here for you. 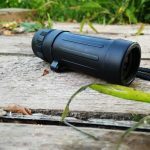 To ease the challenge of selecting a perfect hunting riflescope we want to introduce the Vortex Razor HD LH riflescope review for you which stands for High density and light hunting riflescope. This magnificent riflescope is one of the prominent members of the Vortex Razor family. The Vortex Razor series have served the hunters, long-range shooters, and other users greatly with its best products. Among them, Vortex Razor HD LH is one of a kind. It can be the best friend for hunting enthusiasts and shooting lovers. Shooters and hunters need long range rifle and corresponding scopes to achieve the precise target. But the problem is, long range scopes are heavier than other ones due to their tube construction, large magnification, and other features. And if you carry a heavy scope and rifle for a long time you will get tired and face lots of challenges out there. Vortex Razor HD LH offers you, three models. They are 1.5-8×32, 2-10×40, and 3-15×42 with HSR-4 MOA or G4 BDC MOA. Among them, we have chosen the last one. Here is the catch for Vortex Razor HD LH 3-15×42, because this long range is very much lightweight. In short, this amazing scope features all the premium qualities while weighing very little comparatively. We sincerely suggest that you should give this scope a shot. 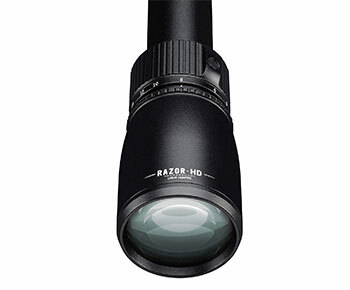 The Razor HD LH 3-15x42 is an ultra-sleek, lightweight hunting scope. High density, extra-low dispersion lenses and premium XR coatings combine to produce razor sharp resolution from edge to edge. A highly forgiving eyebox gives generous eye relief. The locking ocular focus ensures your reticle always stays sharp and crisp. A single piece, hard anodized tube enhances strength and durability. Armortek coatings protect exterior lenses from scratches, oil, and dirt. Strong o-ring seals and argon purging guarantee water and fogproof performance even in the worst weather conditions. The Razor HD LH gives hunters and shooters premium optics and performance in a streamlined, light-weight package. Vortex Razor HD LH 3-15×42 scope is made from aircraft grade aluminum to ensure strength and rigidity. To reach the next level of protection from scratches, oil, and dirt, the long-range scope is given ArmorTek ® protective coating which is ultra-hard and completely resistant to all types of harm. The scope is consisting of a single piece tube system and has a diameter of 1 inch. It offers a versatile option of blend adjustment and is designed in a way to accompany you in a wide variety of shooting application. The tube is aligned perfectly for improved accuracy and optimum visual performance ultimately resulting in great strength and waterproofness. Like other quality optics, Vortex Razor 3-15×42 Riflescope is completely argon gas purged to prevent internal fogging. That means you can take this optics with you in a wide range of temperature. Additionally, its O-ring seal prevents moisture, dust, and debris from harming the scope and therefore, ensures reliable performance in all environments. When you are firing with a long-range rifle, it is evident that you will have a great effect of recoil impact. This Vortex Razor scope will withstand such type of impact with its rugged construction. This Razor scope features highly durable hard coat anodization which provides a low-glare matter surface and helps the shooter to camouflage this position. It has large diameter turrets to provide fast, accurate and easy read elevation and windage adjustments. And you will get caps with the package which gives external protection for turrets. This high-quality scope incorporates High Density (HD) extra-low dispersion glass that delivers impressive resolution and color fidelity. In simple terms, you will get high definition images. The lenses are optically indexed so that they can optimize the sharpness and brightness of the image edge to edge. The scope has an APO (apochromatic) lens system and the premium quality lenses come with XR™ Plus Fully Multi-Coating which is completely anti-reflective coating. With this coating, you will get the maximum transmission for peak clarity and the pinnacle of low-light performance. And for your information, we would like to mention that, APO lens system uses index match lenses to correct the color across the visual spectrum. Vortex Razor HD LH 3-15×42 scope has Precision-Glide Erector System which ensures that the components glide smoothly and cleanly in the zoom lens mechanism through all magnification ranges. The HSR-4 reticle is ideal for shooters and hunters who want to know additional information to enhance their personal ballistics calculation with a clean look. This reticle perfectly serves that purpose with a single crosshair, coupled with MOA-based hash marks (2 MOA spacing) and promotes fast and accurate shots from close to extended ranges. Now, if you are planning to step into the next level of hunting or shooting, this scope can be your stepping stone. 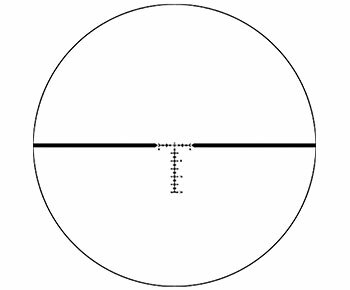 You can use this HSR-4 reticle to calculate the ranges, handovers, windage corrections and moving target leads quite efficiently. The ultra-precision laser etching on the glass reticle assures the minute of angle (MOA) specifications to be kept to the tightest tolerances possible. And, the fine center crosshair subtensions of the reticle are carefully chosen to ensure optimum balance between precision aiming and low light visibility. The reticle is based on minute of angle (MOA) subtensions. MOA measurements are calculated on degrees and minutes. In a circle, there are 360 degrees and 60 minutes in a degree. Therefore, a total of 21,600 minutes. These angular calculations are used to estimate the range and correct trajectory drop for the bullet in riflescopes. For example, 1 MOA corresponds to 1.05 inches at 100 yards, 2.1 inches at 200 yards and for 300 yards it will be 3.15 inches. One fact to keep in mind that, in general, 1 MOA is referred to as 1 inch at 100 yards. And this is not the fact. You now know that. Actually, 1 MOA at 100 yards equals 1.05 inches. Therefore, if you calculate 1 MOA as 1 inch at 100 yards you will miss your target surely in the long range because this will create five percent error in ranging and holdover adjustments. There are two types of placement for a riflescope’s reticle. They are the first focal plane (FFP) and the second focal plane (SFP). Before buying any optics specially riflescope you should know the difference between them. The main difference between them is, SFP reticle always appears with the same size regardless of the level of magnification while FFP reticle changes with the change of the magnification. Vortex Razor HD LH 3-15x42mm riflescope comes with SFP, so you will get additional advantages in certain circumstances with Vortex HSR-4 Reticle. A perfect reticle scope will definitely ease your hunting or shooting, but reticle alone essentially does not assure that you will achieve the targets. Rather achieving the desired target also depends on other factors like windage which affects every shot. Even you go for shooting or hunting with high end scope, still it is better to know your effective shooting range. Only a perfect combination of logistics, environment and skill can bring satisfactory result. If you are using Vortex scopes for long range shooting, you can use Vortex’s Long-Range Ballistic Calculator to calculate elevation correction at extended ranges. It works fine both with a turret or holdover with subtensions. Just go to the site, select the options that match most with your rifle, distance, ammunition, environment and other things. Then hit the calculate button. Just a piece of cake. Answer: No, since this is not a night vision scope. 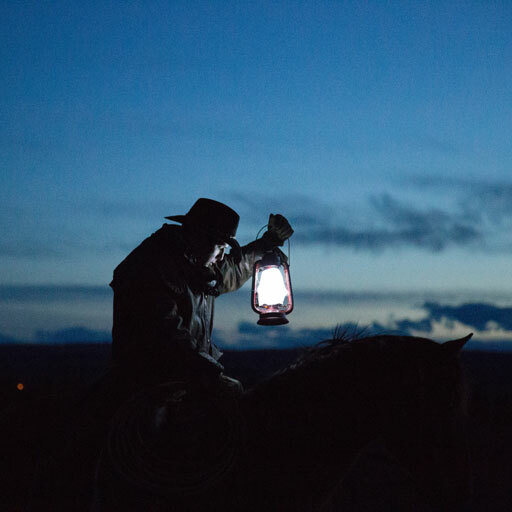 But it performs satisfactorily in low light with a certain condition. Where is the scope made? Is the scope strong enough to stand up to 375 H&H? Answer: Yes, it is really sufficient for 375. What is the advantage of this compared to a low power variable optic? Answer: Longer range accuracy, great magnification and wide field of view. 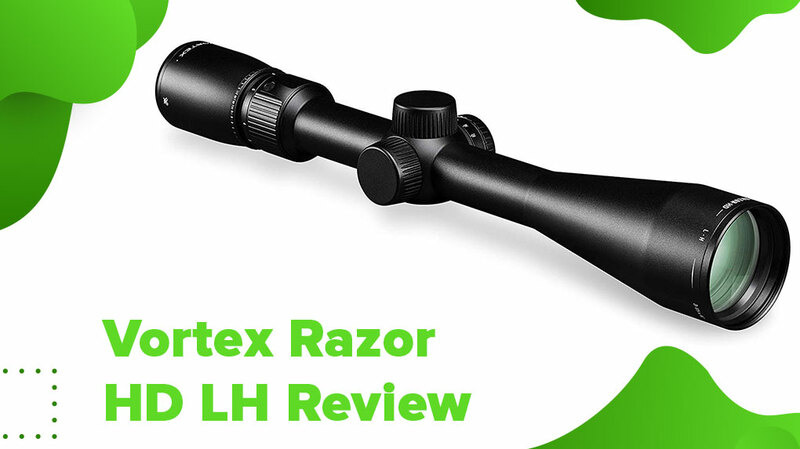 Here is our final verdict about Vortex Razor HD LH review. This high-end riflescope is a beast. You will not regret if you avail it, that’s what we can assure. You can try for other option out there but with that reasonable price, you will hardly find any other better alternative. So next time before going for hunting or shooting, just give it a shot. Happy shooting!